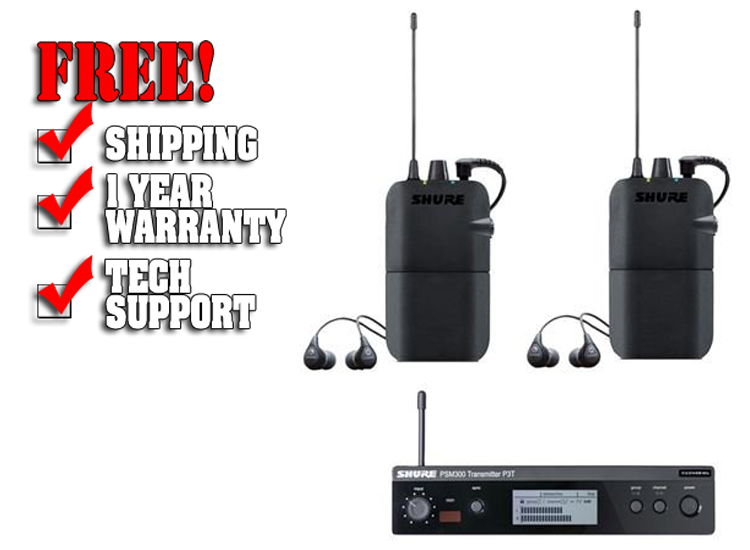 The Shure P3R PSM300 Stereo Personal Monitor System Twin Pack includes 2 sets of SE112 earphones and P3R receivers which delivers detailed 24-bit digital audio and reliable wireless freedom to every corner of the stage. Patented Audio Reference Companding ensures the clearest sound, with ultra-low noise and no artifacts. Dependable wireless coverage extends over 300 ft (90 m) of range and eliminates dropouts.